How to Book a Registrar for a Wedding? Get ready to say your registrar wedding vows! Booking a Registrar for a wedding (more commonly known in Australia as a celebrant) is easy. Now, there are dozens of celebrants available on the Melbourne marriage register. Of course everyone planning to marry is mostly concerned about wedding registrar fees. That’s because Melbourne wedding registrar costs can differ wildly. Usually, you’ll find registrar wedding fees range between three to several hundred dollars. You see any civil wedding registrar can charge what he or she likes. Even the marriage registrar (at Births, Deaths & Marriages) charges around $300 for a basic wedding during business hours. Melbourne Marriage Registrar: Fortunately there is now Simple Weddings. Registrar for wedding ‘Simple Weddings’, provides a legal, simple, marriage registrar office-style wedding that’s less than the government’s cost of registrar for wedding. As mentioned, cost of registrar wedding at Births, Deaths & Marriages is at least $320 and that’s for a business-hours wedding at their office. Their Saturday weddings range at $370 to over $410. On the other hand, registrar marriage fees for a business-hours wedding at Simple Weddings’ Melbourne CBD location is only $199. And a Saturday wedding at their CBD location is just $299..
Booking registrar for wedding doesn’t get any cheaper than that. So if the cost of wedding registrar is your first consideration, (wedding registrar cost is always the first consideration when planning a wedding!) then it’s high time you were booking wedding registrar, Simple Weddings. They provide Australia’s best value weddings (compare to all others on the register of marriage celebrants!) They even beat the government’s registrar fees (wedding). 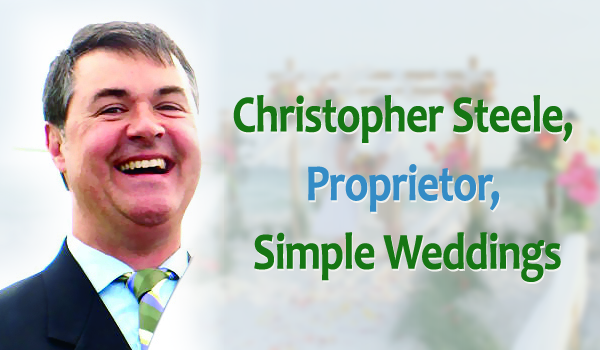 You’ll find Simple Weddings is the easiest and fastest way to obtain your registrar marriage certificate. Get in touch with Simple Weddings today by filling in the contact form on your right. A representative will be in touch with you shortly. Or simply call them on 1300 668 459. If you like, you can even book your wedding, instantly, online, right now! Just click a button on your right.